The inaugural Media One Funski occurred in 1989 as a cross country ski race. It was held at the Riverview Farm on a course in the bluffs along the Big Sioux River, 10 miles south of Sioux Falls. It was conducted as a fundraiser for the Children’s Inn and raised around $3000. 30 skiers participated. Today Funski has expanded to include an eclectic variety of winter events: skiing, fat tire biking, snowboarding, team snow tubing, Frozen Leg kickball, snow sculpture, zipfy sled racing and of course, cross country skiing. The event has become the premier outdoor winter event in eastern South Dakota and is the largest revenue generating weekend of the year at Great Bear Recreation Park. The event is closing in on $1 million in total fundraising for Children’s Inn, a domestic abuse shelter for women and children in Sioux Falls. The money raised is a 100% pass through to the operating budget of the Inn.  With more than 40 years' experience engaging audiences across traditional and digital platforms, Media One offers strategic creative production, copy and versatile video. Children's Inn is a private, non-profit organization founded in 1977 that provides 24 hour, free services for women, children and men who are victims of family violence, elder abuse, child abuse, neglect, or sexual assault. Great Bear Ski Valley in Sioux Falls is the #1 hotspot for winter sports in Eastern South Dakota. It’s a place your whole family can enjoy, with everything from downhill and cross country skiing to snowboarding, tubing and snow-shoeing. In short, we're the place you want to be this winter, and we’re just three miles from Sioux Falls!